Winter is on its way, which means you're at risk of getting fat. Keeping yourself in shape is much easier with help, and Super Diet Genius can be your digital personal trainer. Enter your height, weight, age and your ideal weight, and this app will guide you in the dieting process. You can specify how aggressively you want to lose those kilos, and set up alerts for meals and snacks. Super Diet Genius will tell you what foods you need to be eating in order to get fit. You can set up your preferences so that if you don't like cottage cheese, for example, it's not going to tell you to eat it. You can also set up your meals for the week, so you know if you're going to have a big lunch one day, you can make up for it by eating super healthy earlier in the week. 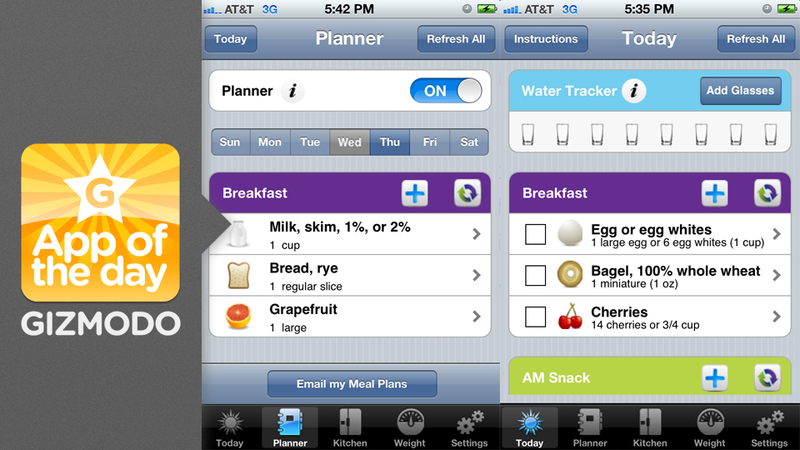 The app also offers specially tailored meal plans and helps you track your water intake.